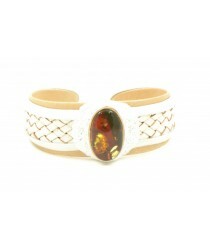 Product ID: W143; Short Description: Exclusive Leather White Bracelet with Amber Stone; Weight: ~27g; Bracelet Color: White; Length: 19 cm. 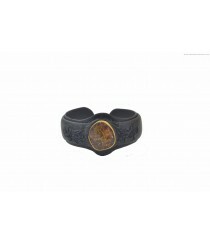 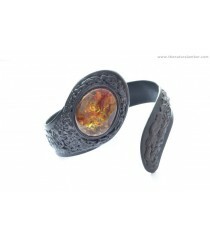 Product ID: W144; Short Description: Adult Dark Leather Bracelet with Green Amber Stone; Amber Color: Green; Amber Stone: Polished; Weight: ~25-26 g; Bracelet Length: Can fit various sizes. 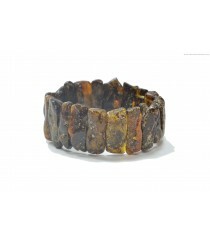 Product ID: W145; Short Description: Leather Bracelet with Green Amber Stone; Amber Color: Green; Weight: ~28 g; Length: This Leather bracelet can be suitable for various sizes. 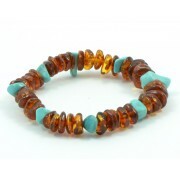 Product ID: W154; Short Description: Green Amber Bracelet on 2 Elastic Bands; Weight: ~30 g; Length: ~20 cm (8 inches); Height: ~22-30 mm; Color: Green. 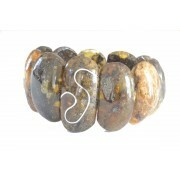 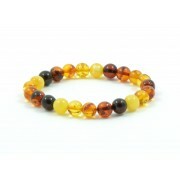 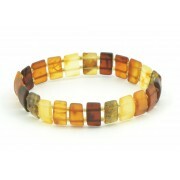 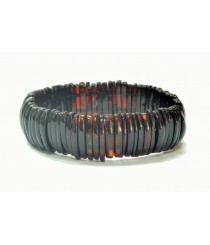 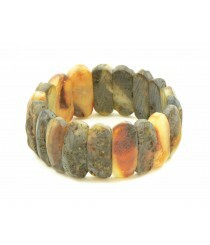 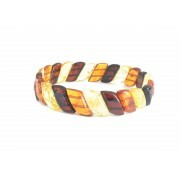 Product ID: W156; Short Description: Multicolor Amber Bracelet on 2 Elastic Bands; Amber: Polished; Length: ~18 cm (7.1 inches); Amber Beads: Rectangular Strips; Height: ~22 mm; Weight: ~19 g; Color: Multi. 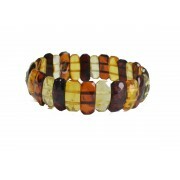 Product ID: W161; Short Description: Green and Milky Amber Adult Bracelet; Length: ~20 cm (8 inches); Weight: ~17 g; Color: Green and Milky. 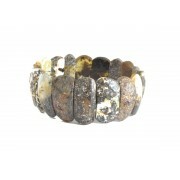 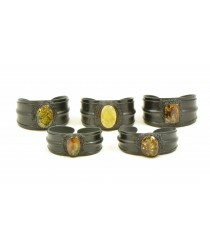 Bracelet Height: ~22 mm. 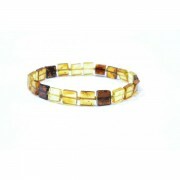 Product ID: W162; Short Description: Green Raw Amber Adult Bracelet; Amber: Raw (Unpolished); Length: ~20 cm (8 inches); Weight: ~17 g; Color: Green. 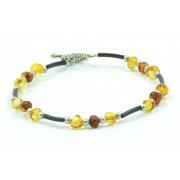 Product ID: W163; Short Description: Green Amber Adult Necklace; Height of Amber Plates: ~30-40 mm; Length: ~20 cm (8 inches); Weight: ~58 g; Color: Green. 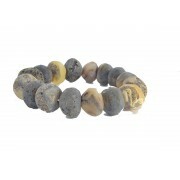 Product ID: W164; Short Description: Raw Green Amber Adult Bracelet; Length: ~20 cm (8 inches); Weight: ~29 g; Color: Green; Amber: Raw (Unpolished); Bracelet Height: ~15 mm. 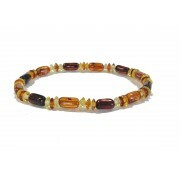 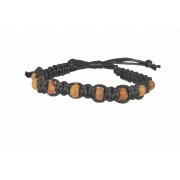 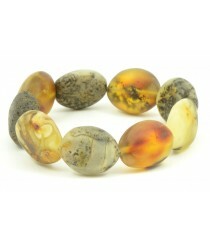 Product ID: W165; Short Description: Multicolor Amber Adult Bracelet; Amber: Polished; Length: ~20 cm (8 inches); Weight: ~10-12 g; Height of Amber Beads: ~15 mm. 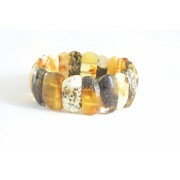 Product ID: W169 Short Description: Faceted Multicolor Amber Adult Bracelet; Color: Multi; Length: ~19 cm (7 inches); Weight: ~8 g Style: Faceted; Height of Amber Plates: ~9 mm. 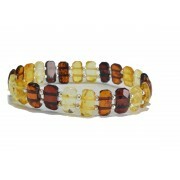 Product ID: W170; Short Description: Multicolor Faceted Amber Adult Bracelet; Style: Faceted; Height of Amber Plates: ~15 mm Length: ~19 cm (7 inches); Weight: ~8 g; Color: Multi. 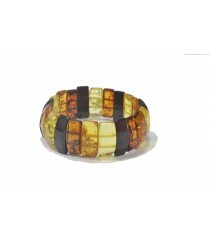 Product ID: W168; Short Description: Green Unpolished Amber Adult Bracelet made on 2 Elastic Bands; Color: Green; Amber: Raw (Unpolished); Length: ~19 cm (7,5 inches); Weight: ~26-28 grams; Height of Amber Plates: ~25 mm.